Brad Connors named one of Minneapolis/St. Paul’s outstanding wealth managers. 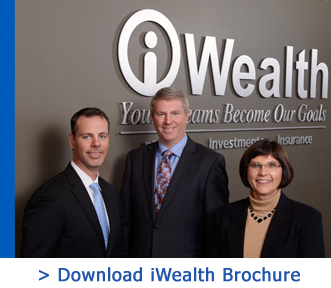 Waseca, MN (PRWEB) February 19, 2015 – Five Star Professional is pleased to announce Brad Connors, iWealth, has been chosen as one of Minneapolis/St. Paul’s Five Star Wealth Managers for 2015. Five Star Professional partnered with Mpls.St. Paul Magazine and Twin Cities Business to recognize a select group of Minneapolis/St. 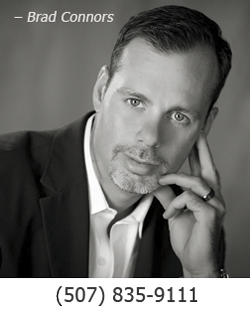 Paul area wealth managers who provide quality services to their clients. Brad Connors is featured, along with other award winners, in a special section of the January issue. “Based on our evaluation, the wealth managers we recognize are committed to pursuing professional excellence and have a deep knowledge of their industry. They strive to provide exemplary care to the people they serve.” Jim Olson, CEO, Five Star Professional Brad Connors’ Five Star award profile can be viewed here. Now entering its 12th year, Five Star Professional conducts in-depth, market-specific research in more than 45 markets across the United States to identify premium service professionals. Wealth manager award candidates are identified through firm nominations, peer nominations and industry qualifications, and then evaluated on 10 objective eligibility and evaluation criteria, including client retention rates, client assets administered, firm review and a favorable regulatory and complaint history. Self-nominations are not accepted, and wealth managers do not pay a fee to be considered or awarded. The award is not indicative of the wealth manager’s future investment performance. For detailed information on the Five Star Wealth Manager research methodology visit http://www.fivestarprofessional.com. Wealth managers do not pay a fee to be considered or awarded. Once awarded, wealth managers may purchase additional profile ad space or promotional products. The award methodology does not evaluate the quality of services provided and is not indicative of the winner’s future performance. 2,673 Minneapolis/St. Paul wealth managers were considered for the award; 825 (31% of candidates) were named Five Star Wealth Managers.